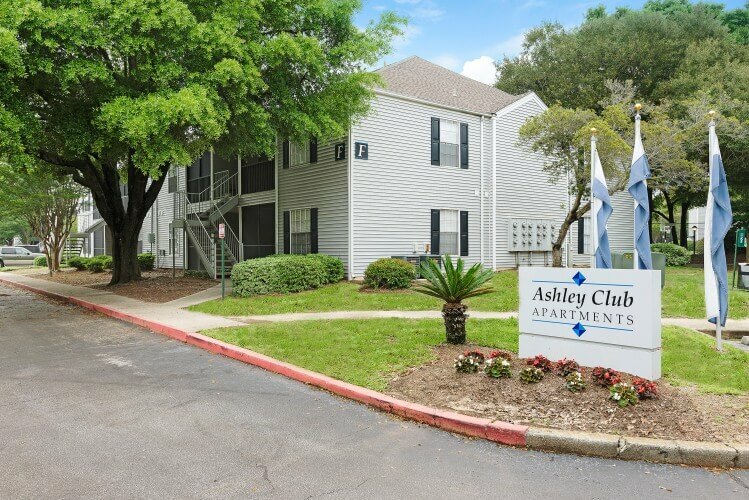 Ashley Club apartment homes is a 224-unit garden-style apartment community located in an established single-family neighborhood of Pensacola, Florida. The property is in close proximity to numerous employment, educational and recreational venues and is one block from US Highway 90 offering scenic views of Escambia Bay and direct access to Downtown Pensacola. Residents of Ashley Club are also within close proximity of three colleges with combined enrollments of over 28,000. Ashley Club was developed in 1986 and consists of 224 one and two bedroom floor plans ranging from 690 square feet to 1010 square feet. Amenities include clubhouse, swimming pool, hot-tub, car care center, fitness facility, lighted tennis court, Bark Park, clothes care center and outdoor cooking and dining area. A property enhancement program will begin immediately after acquisition and will focus on upgrades to the unit interiors as well as the community amenity package and landscaping.